NASHVILLE, TN – Gov. Bill Haslam and Agriculture Commissioner Jai Templeton have announced the appointment of David Arnold as State Forester and Assistant Commissioner for Forestry. Arnold is a 28-year veteran of the Tennessee Department of Agriculture Division of Forestry. Arnold most recently worked as Assistant State Forester, overseeing as much as $4 million in federal grants annually, contributing to the development of the division’s short- and long-term strategic and tactical plans, and supporting budgeting, planning, and hiring within the division. He also supervised the administration of the division’s forest health and sustainability unit, as well as the reforestation unit. 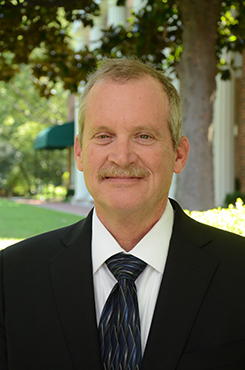 Previously he served as forest management chief, forest inventory and analysis coordinator, forest products marketing coordinator, and area forester for Union County. Arnold succeeds Jere Jeter, who retired in June after nearly six years in the position. Arnold earned a B.S. in Forest Management from Auburn University and a Master of Science in Forestry from the University of Tennessee.